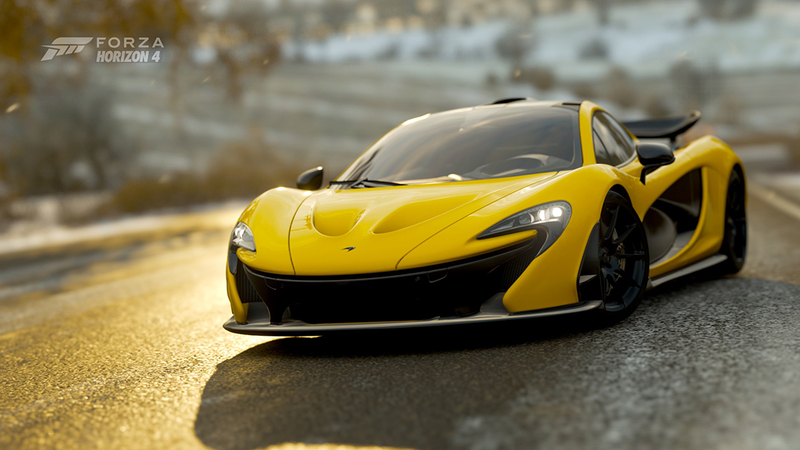 The Winter season has returned in Forza Horizon 4. That means a new Festival Playlist full of new events to take on in the game. Eagle-eyed players will notice that the Season and Series Reward requirements has been lowered from 100 percent to 80 percent after an update to the game this week from Playground Games. That same update also fixed some credit exploits related to using the Route Blueprint feature, among other changes. See the full Release Notes over on the Forza Support site for more. Last week, Vaughn Gittin Jr.’s RTR drift car was the Autumn season reward – but if you missed it, fear not! This week, we’ve got Chelsea DeNofa’s #88 RTR Formula Drift car on offer as the 50 percent Winter season reward. That’s alongside the Hudson Hornet, which players can earn for completing 80 percent of the Festival Playlist events. 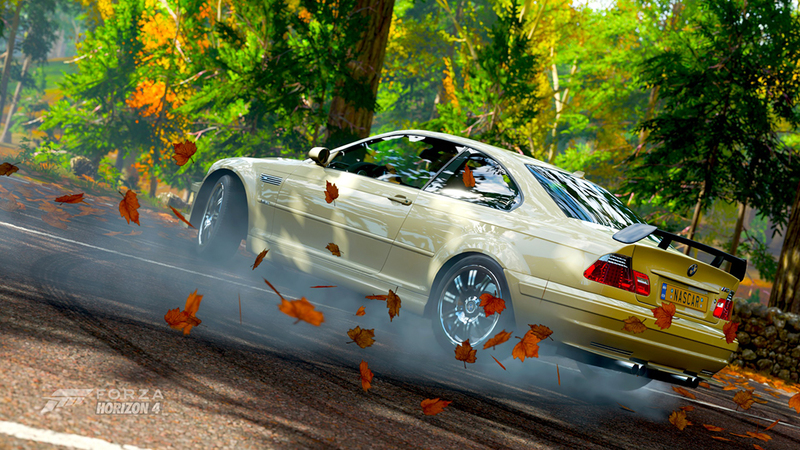 Forza weekly photo contest winner by RIGOS. Feeling quick? The final Rivals qualifier for the WEC Le Mans Esports championship is now open in Forza Motorsport 7! 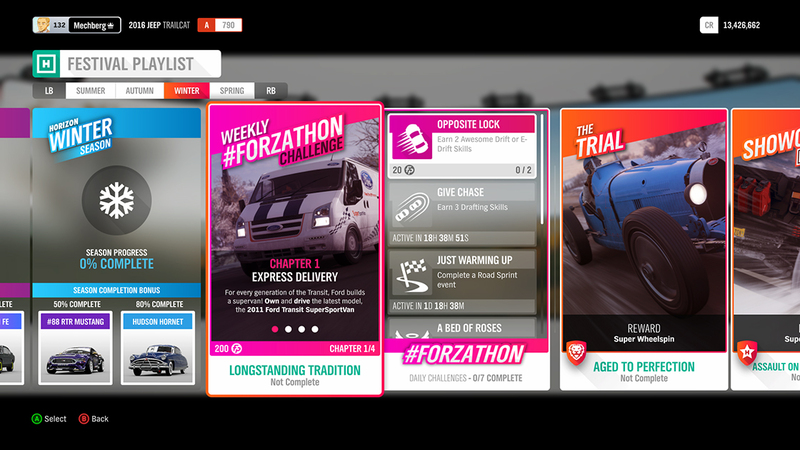 You can find the event in the Featured Events channel of Rivals under the name: “LMES Qualifier RD 6.” This time around you’ll be truly challenged with the 1967 Ferrari #23 Ferrari Spa 330 P4 on the legendary Spa-Francorchamps circuit. The Spa round of qualifying and racing is the last chance for hopefuls to qualify for the Le Mans Super Final, which will take place in June alongside the real 24 Hours of Le Mans race. For more information check out the Le Mans Esports series page. Some of the fastest drivers in the world will be competing for their share of the $100,000 prize pool, so prepare yourselves and your lap times accordingly, and good luck! As mentioned a few weeks ago, as of March 31, OneDrive music streaming in Groove Music will be retired. As a result, beginning on March 31, streaming your music through Forza Horizon 3 won't work, and the in-game OneDrive music feature will be turned off. 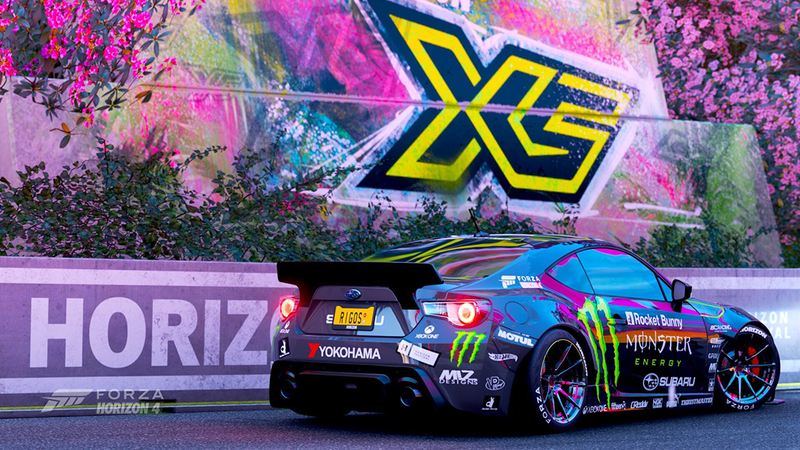 Forza weekly photo contest winner by FRT Luan. Today we’re welcoming Kristina Rothe (GT: Drawing Curtain) to #ForzaFriday for the first time. Kristina has been with Turn 10 for a few years now and just recently joined the Community Team as producer. I’m overjoyed to add her expertise and passion for community to the team as we plan great things ahead for the Forza community. 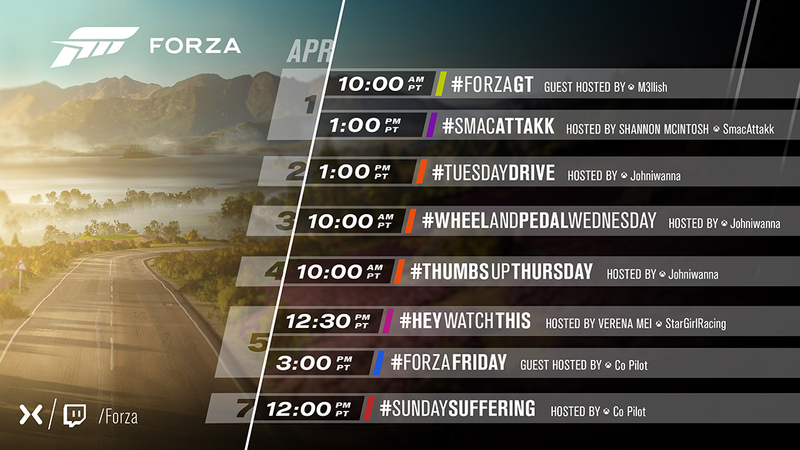 On today’s show we’ll be talking about Kristina’s career and the various Forza features she’s worked on during here time here at Turn 10 and, of course, we’ll be playing Forza with all of you as well! I wanted to start this show to really showcase all levels of driving skill, and how we can improve. Personally, I can't go around a track faster than 50MPH without befriending a tire wall, and I know there are a lot of people who feel the same. #SundaySuffering is meant to bring to light the challenges that can come with learning to circuit race at a high level. We can work together as a community to provide tips and tricks from skilled drivers, practice them in real time, and just feel heckin’ cool! I also want to eventually expand into painting, tuning, photography and drifting to really learn about and share my experiences with all aspects of Forza. #SundaySuffering will be every Sunday at noon Pacific (8 p.m. BST) – 2 p.m. Pacific (10 p.m. BST) on the official Mixer and Twitch channels! Not so great at Forza? Want to improve? Come get good with me! Forza weekly photo contest winner by NascarFan328.